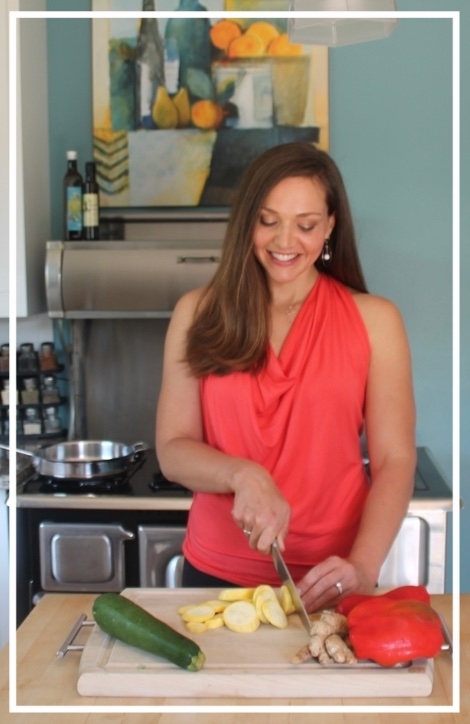 I have been dying to share this favorite recipe of mine for some time now! It's the perfect solution for a quick dinner, an easy brown-bag lunch, or a make-ahead pot luck entree! 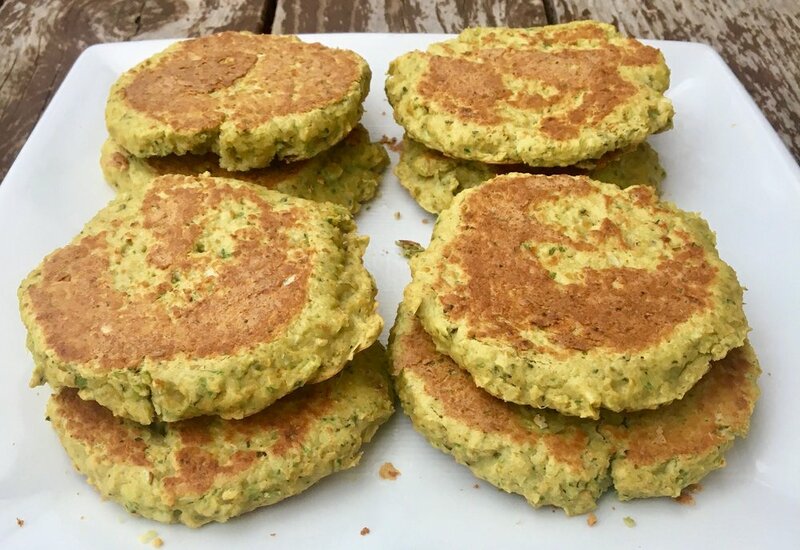 These chickpea burgers are reminiscent of falafel, without the whole deep frying bit. When topped with the creamy, lemony avocado sauce and fresh veggies, then wrapped in a light, flavorful Flatout flatbread, they really are a delicious, nutritious meal the whole family or any group will love and ask for again, and again. I used the Everything Flatbread in this recipe for some extra onion-y, garlic-y, seedy flavors. Okay, now on to the goods! Get ready to add this one to the regular dinner rotation! 1. Begin by preparing the burgers - add chickpeas, scallions, egg, flour, oregano, cumin and ¼ teaspoon salt to a food processor or high powered blender. Pulse until all ingredients are well combined and the mixture sticks together well. Stop to scrape ingredients down the sides of the container as needed. The mixture should be a bit coarse and moist. 2. 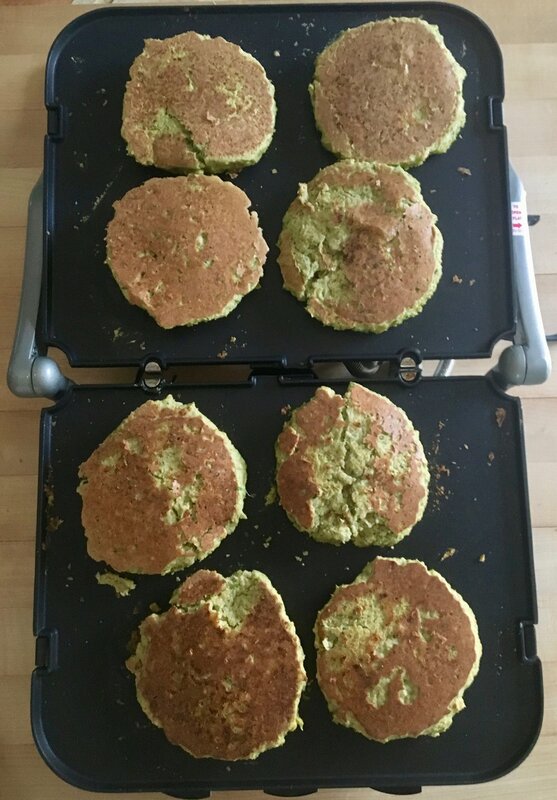 Using a large spoon and your hands, form the mixture into 8 patties. It helps to moisten your hands just a bit with water to prevent the mixture from sticking too much. 3. Heat a large skillet or non-stick griddle over medium-high heat. I used the Cuisinart Griddler, which opens up flat and works perfectly for burger patties like this. If not using non-stick, coat pan with avocado or coconut oil. Add patties and cook until golden brown around edges, 4 to 5 minutes. Carefully flip and cook until golden brown on opposite side, 3 to 5 minutes more. 4. 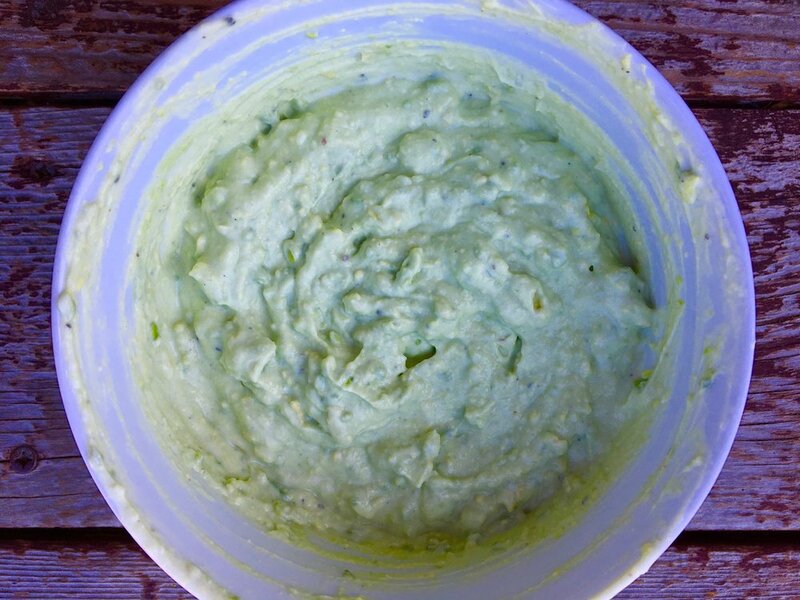 While patties are cooking, prepare avocado yogurt sauce: add all ingredients to a medium bowl. Mash the avocado with a fork or potato masher for a chunky consistency once all ingredients are well-combined. Serve immediately or refrigerate. This tastes best if brought back to temperature before serving. 5. Divide the patties among the flatbreads and top with avocado yogurt sauce, sliced tomato, cucumber, lettuce or any other toppings you like! This is a great make-ahead meal. To make this in advance, just cover and refrigerate the uncooked burger mixture or cooked burger patties and avocado yogurt sauce for up to 2 days. Because of the yogurt and lemon juice the avocado won't cause browning! This is a sponsored post. It was written by me on behalf of Flatout. All opinions are 100% my own.